In light of recent events, I have been doing a great deal of thinking about the transience of life. Yes, transience. We are born. And we die. Sadly, this is the reality of our existence. Indeed, this may seem like a weighted topic, but life seems incredibly weighted at the moment. Hello fellow bloggers! I am beyond excited to say that my little blog has been nominated for an award! And I’m happy to share the story of how A Pinch Of Sea Salt began and hopefully divulge a useful tip or two about my blogging experience! 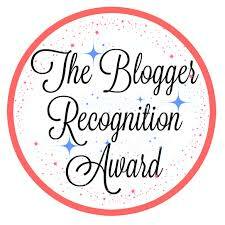 I hope a few of my wonderful readers might… Read More The Blogger Recognition Award!